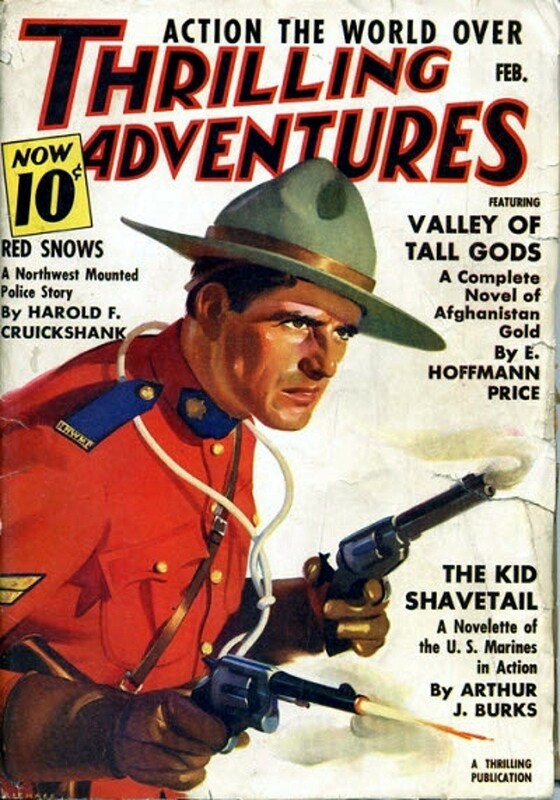 It's been a while since there's been a Mountie cover in this series, so here's one from the February 1938 issue of THRILLING ADVENTURES. Not only does this issue feature a cover with a two-gun Mountie on it, there are stories inside by E. Hoffmann Price, Edmond Hamilton, Philip Ketchum, Arthur J. Burks, and S. Gordon Gurwit. That's a pretty strong line-up for any pulp with the word "Adventure" in the title.